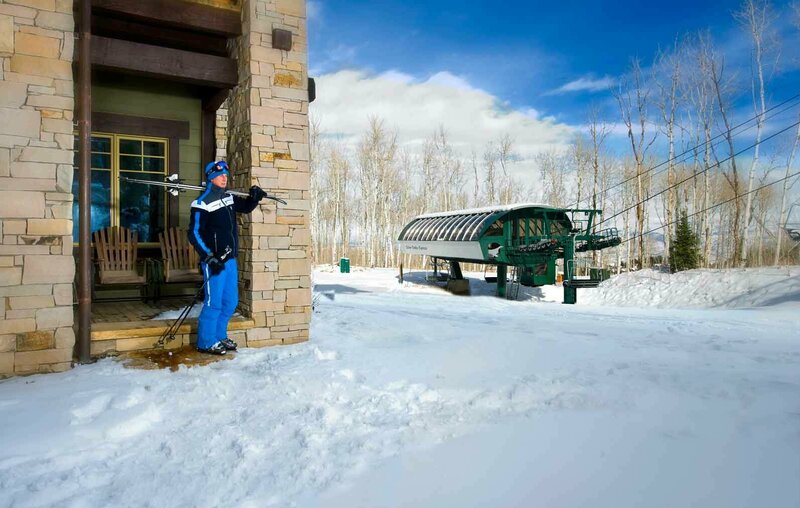 Our magnificent ski-in, ski-out location is true indulgence, featuring a handsome clubroom, complimentary Dial-A-Ride service, a heated, outdoor plaza, with luxurious spa pools, warming fire pit and Silver Strike Express Chairlift access. This luxurious, 4-bedroom residence offers stunning mountain views, top-of-the-line appliances and electronics, stylish mountain décor and a private deck. This is a four-bedroom, 2200 square foot, ground-floor residence that allows you literally to ski into the back porch. It is exquisitely outfitted and comfortable, reflecting traditional mountain charm.